Rivers of flowing lava met the ocean on the Big Island's Puna (southeast) Coast in 2018, adding hundreds of new acres. 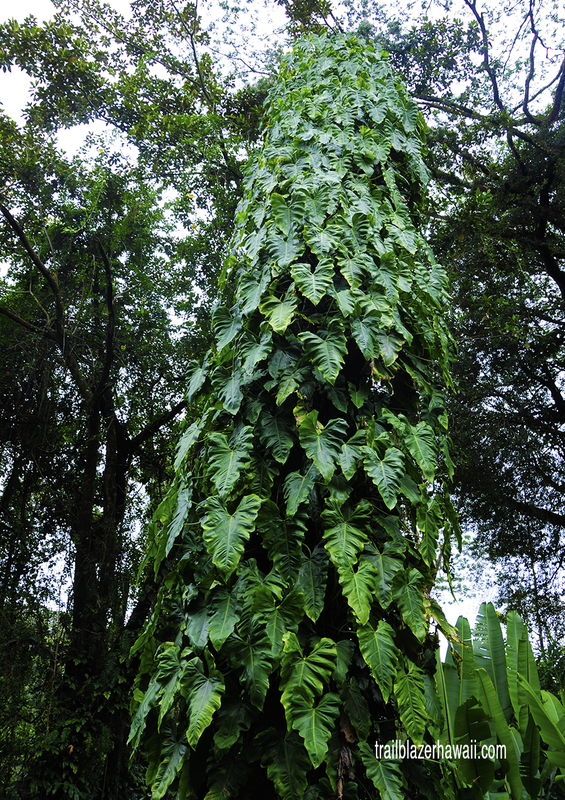 But you'd never guess of these fiery origins on the Hamakua (northeast) Coast, where dozens of cascades create a seaside botanical garden. 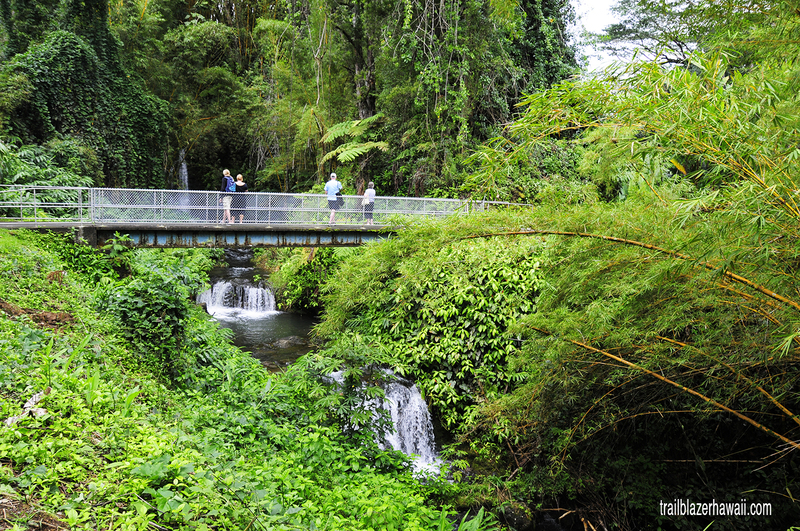 A footbridge Akaka Falls State Park (above) gets you into the center of the show. 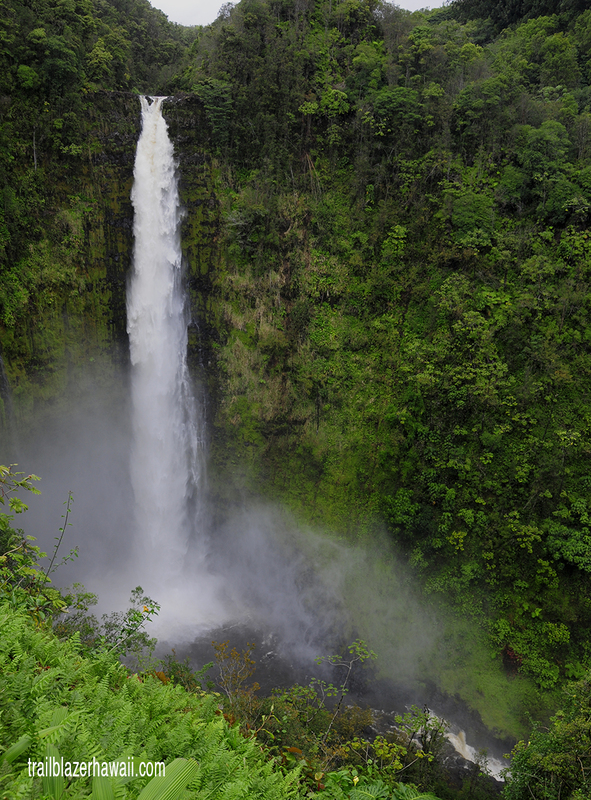 Water from Mauna Kea's slopes thunders over a 500-foot precipice at Akaka. You can take sections of the Old Mamalahoa Highway to get off the tourist track on this coast and see a number of other whitewater streams and falls. 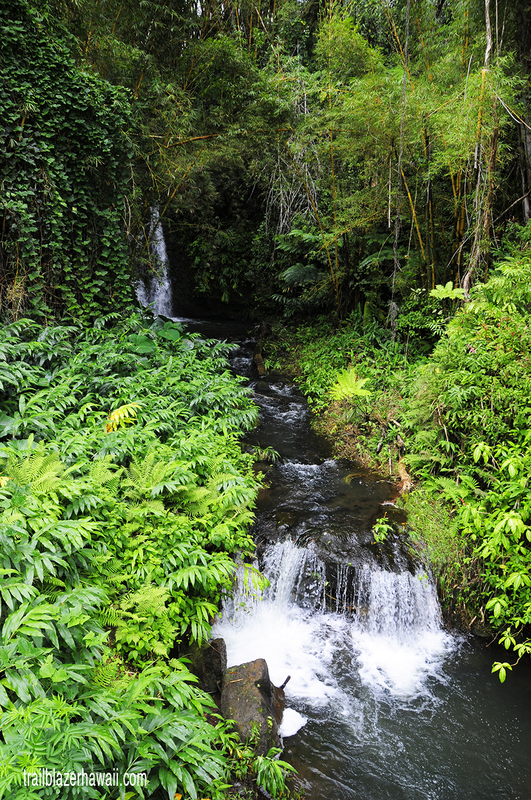 In the north, Kalopa State Recreation Area has a network of trails into some of the greenery birthed by all this water. 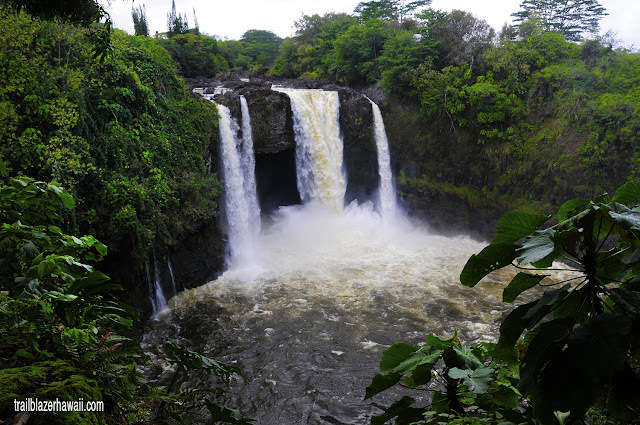 Rainbow Falls, down south above Hilo, hides a cave that is mentioned several times in ancient Hawaiian mythology. The Wailuku River is downright majestic—flowing into Hilo from the saddle between Mauna Loa and Mauna Kea, the island's twin 13,000-foot peaks. 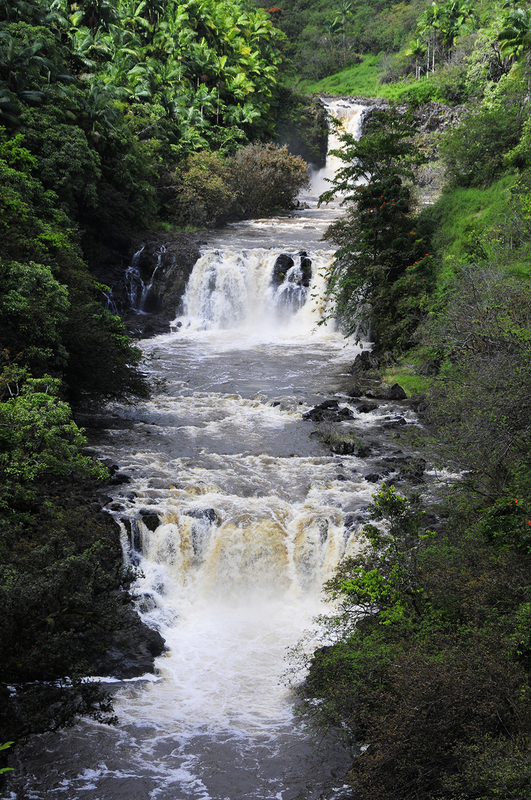 Pe'epe'e Falls is a baby Niagra. 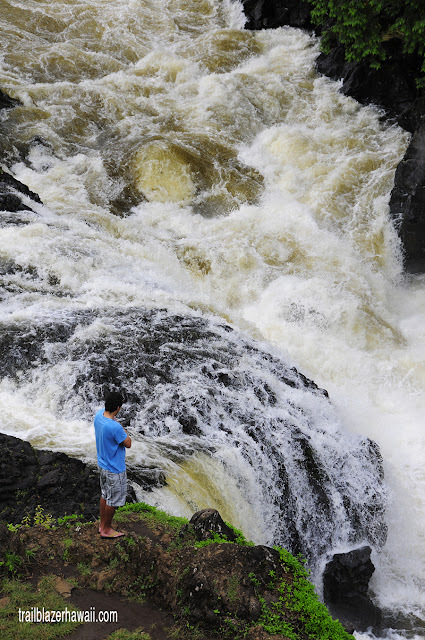 You don't want to think about dipping a toe at Boiling Pots, a violent swirl that is a ways below the falls. The queen among Hamakua's waterfalls may be Umauma Falls, sheer perfection as it tumbles over three nicely spaced terraces. The overlook is perfectly situated. 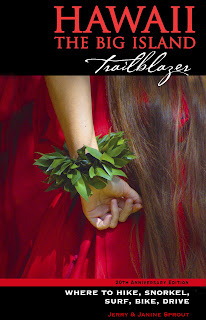 Hawaii the Big Island Trailblazer has many other places to pull in and explore along the Hamakua Coast. 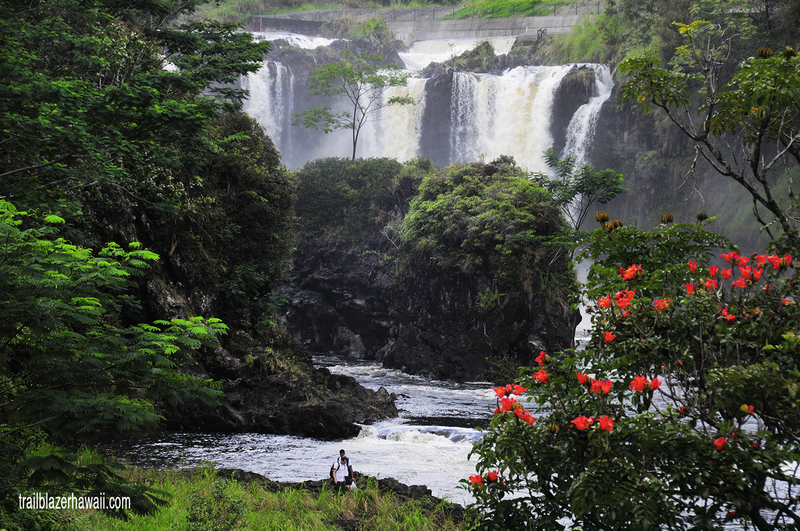 This place is an island unto itself and doesn't see a ton of visitors.